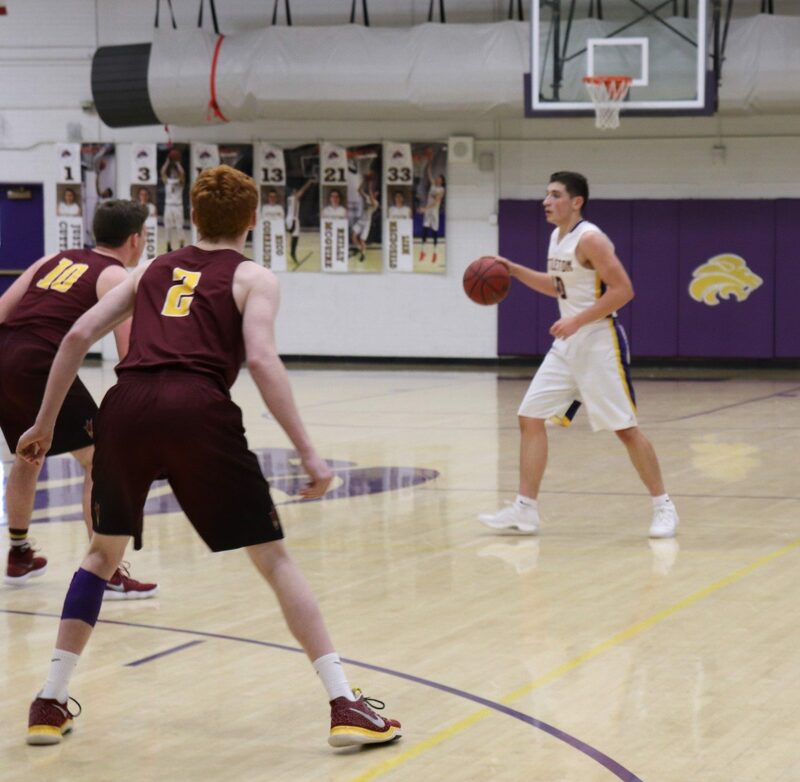 Saturday afternoon, boys’ basketball played their final home game of the season and faced a disappointing lose against Golden. 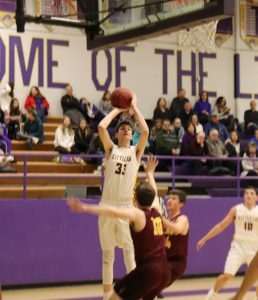 The Lions were tied with the Demons 25-25 at the end of the first half, but ended up losing 45-64. 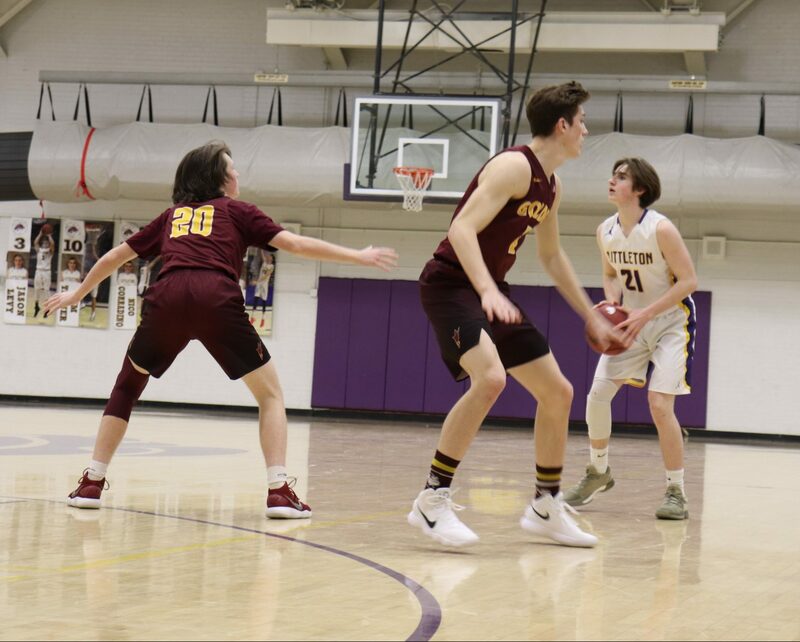 “For about ¾ we played one of our best games of basketball, but right around the fourth, we seemed to have lost focus and lost sight of what we were doing, but up to that point, we saw a really great team out there,” said senior Liam MacDonald. 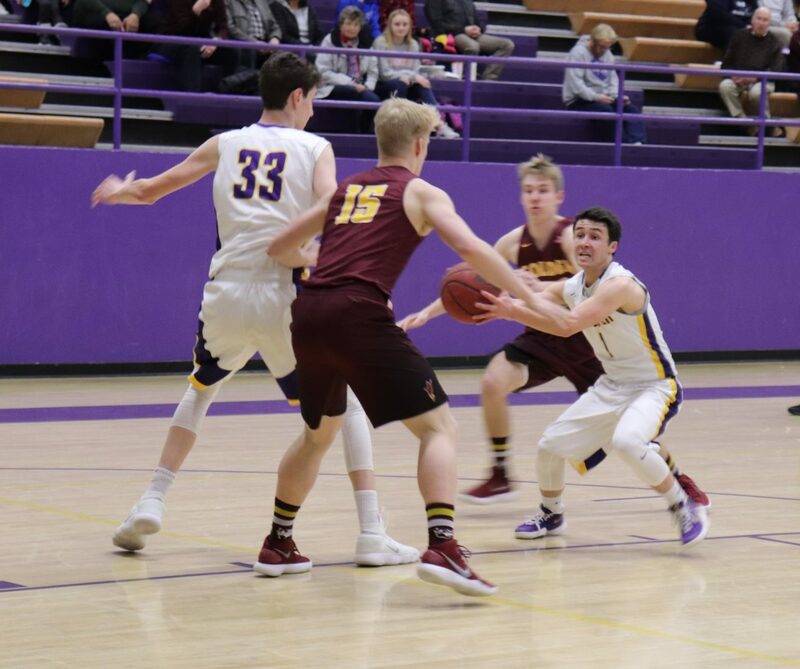 The game seemed to escape in the fourth quarter when the Demons scored about 10 points in a row. “We were definitely in it. 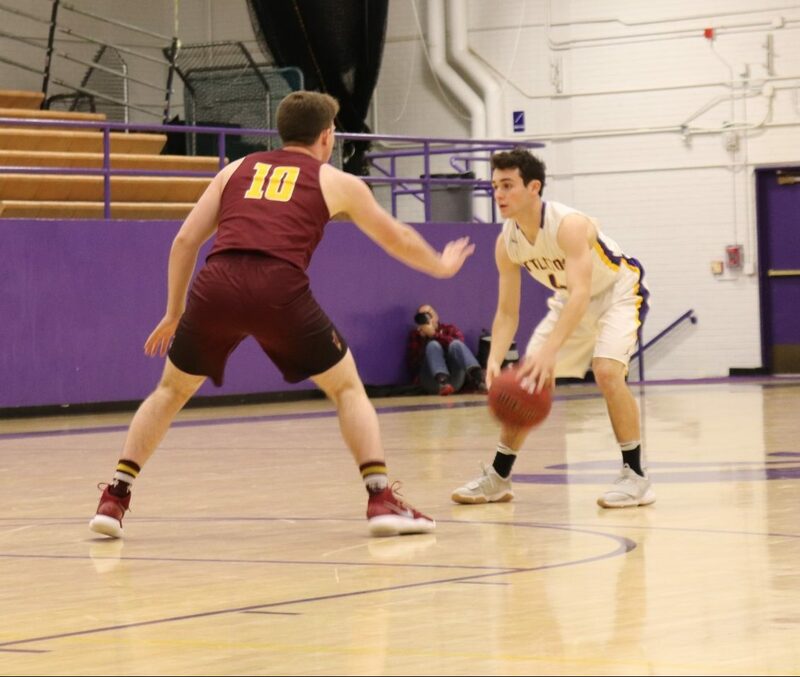 It was a good fight mainly up until the fourth quarter, and at that point, it kinda seemed like we lost some confidence, probably because they got a little run and we weren’t making shots at the moment, but we just need to adjust and make that stay,” said senior captain Jason Levy. Today was also Senior Day at the game. 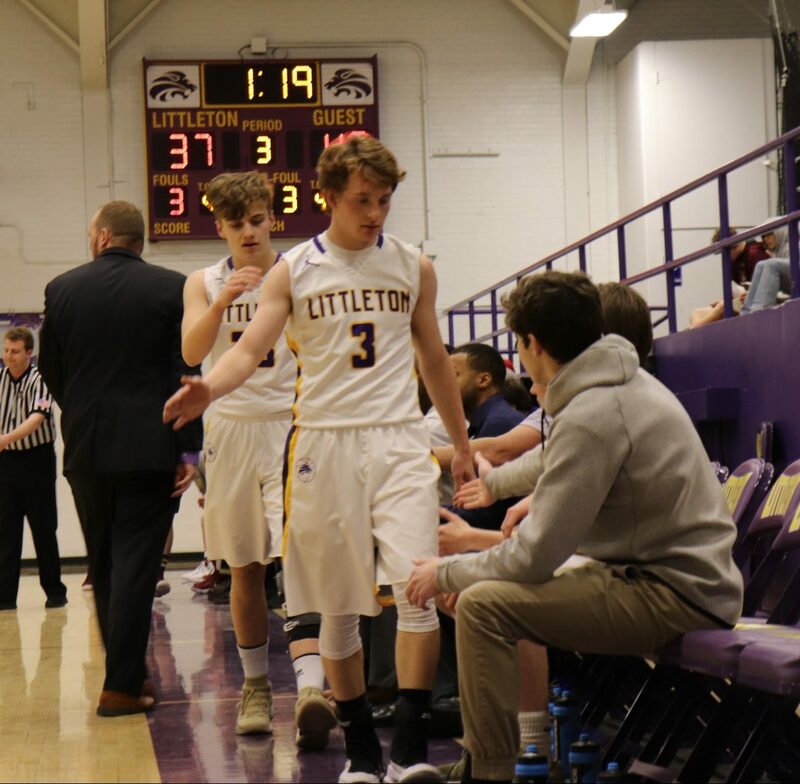 At halftime, LHS celebrated senior varsity members MacDonald and Levy, as well as captain Justin Cutter, Tim Tanner and Reilly McGuire. 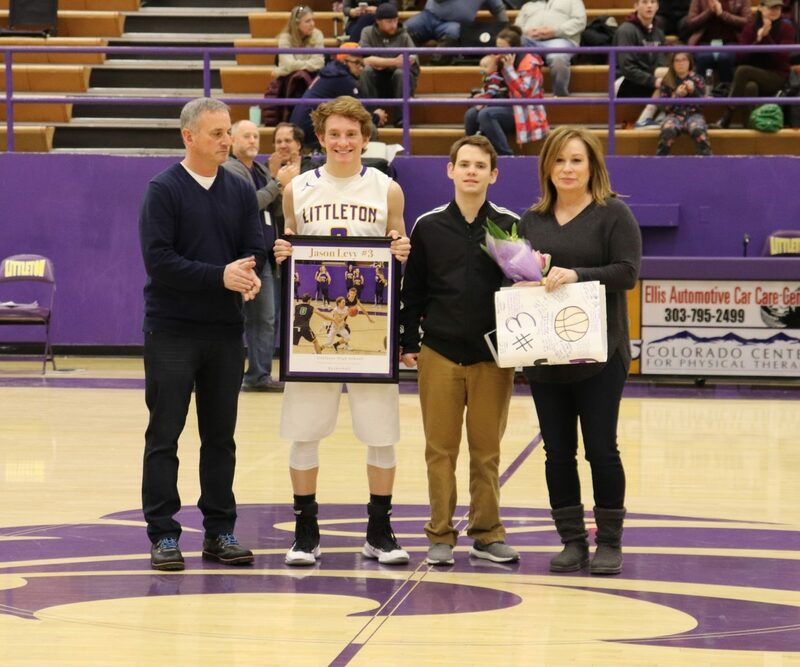 The boys all walked out onto the court with their parents and siblings and received a picture, a banner and the mothers were given flowers. 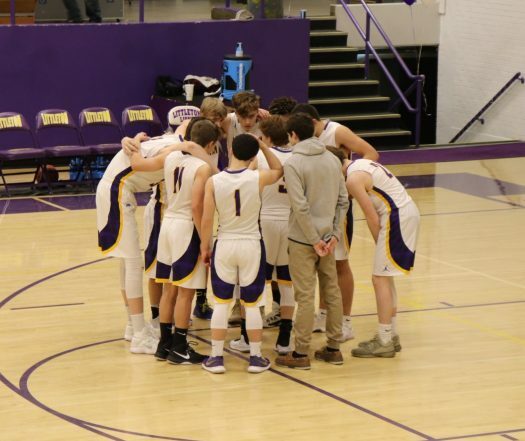 Despite the tough loss today, the team is still working their hardest and has made huge improvements throughout the whole season with an overall record of 8-13. 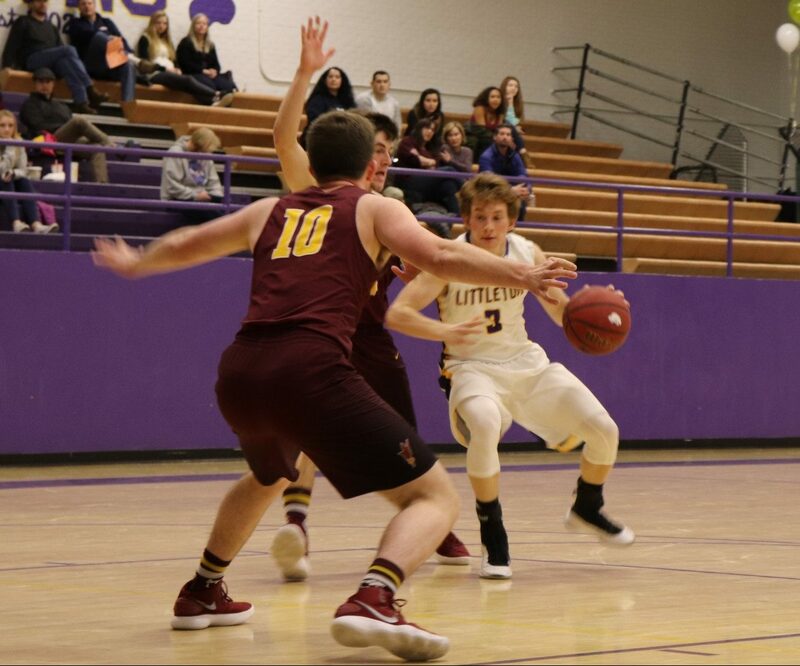 “It’s been slightly disappointing in that we’ve let a few games go, but as far as Littleton Basketball has gone, we’ve made leaps and bounds. After a pretty disappointing season last year, we’ve improved on it,” said MacDonald. 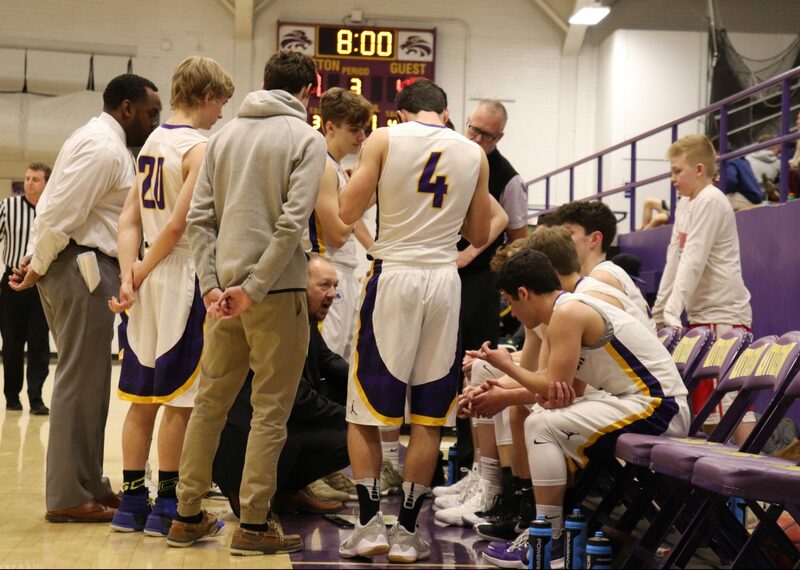 The boys have two away games left. 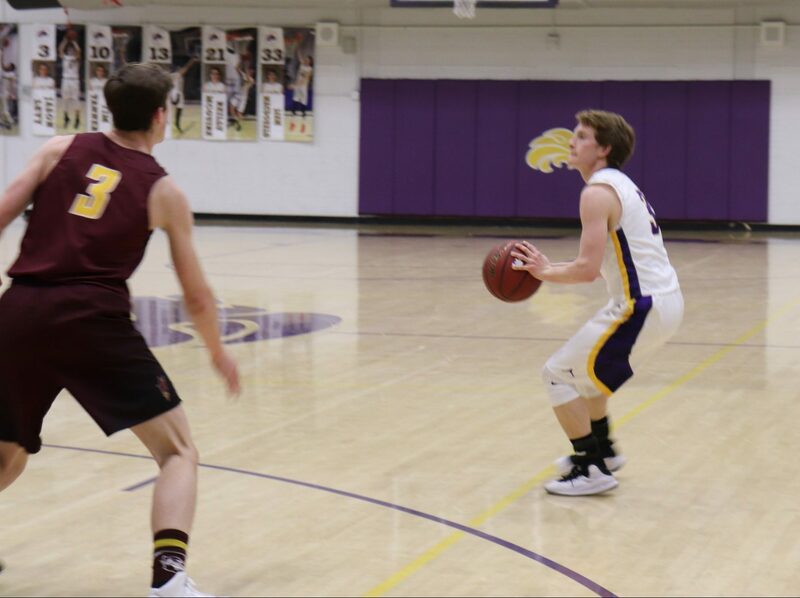 One on Tuesday night at D’Evelyn, the other on Thursday night against Wheat Ridge. 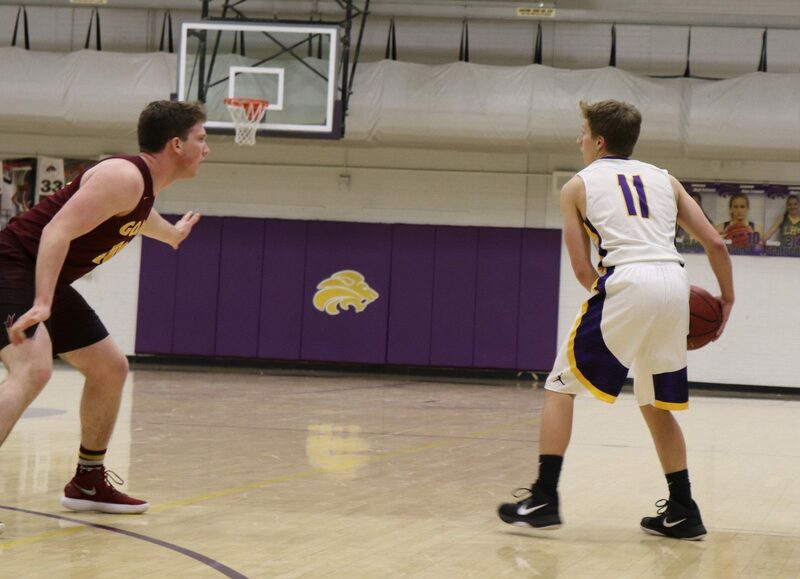 “We’re going to go into those games grabbing at everything we can. 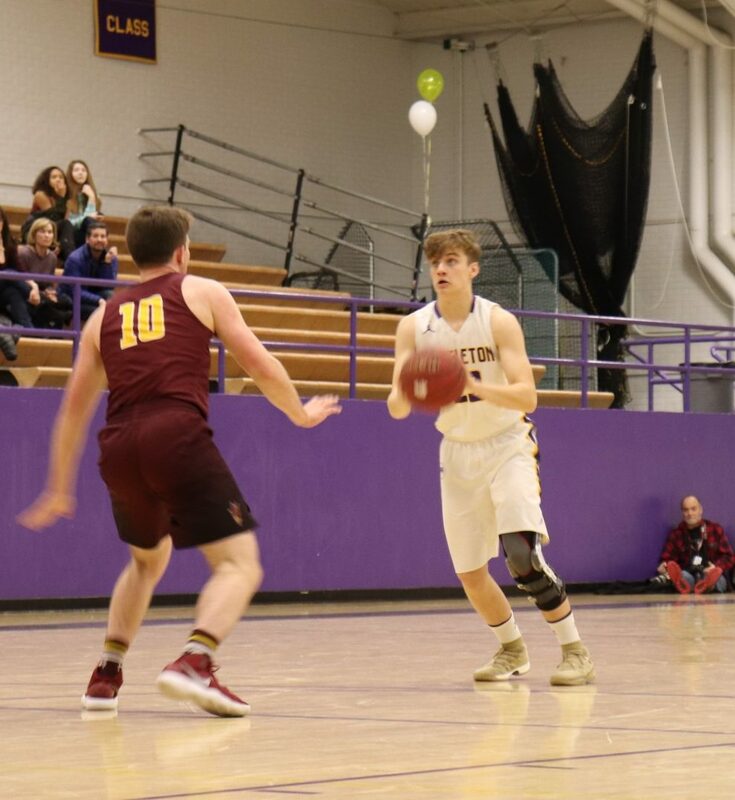 I mean, we’ve competed with the second team in the state for a whole ¾, so I wouldn’t say there’s any team we can’t beat,” said MacDonald. 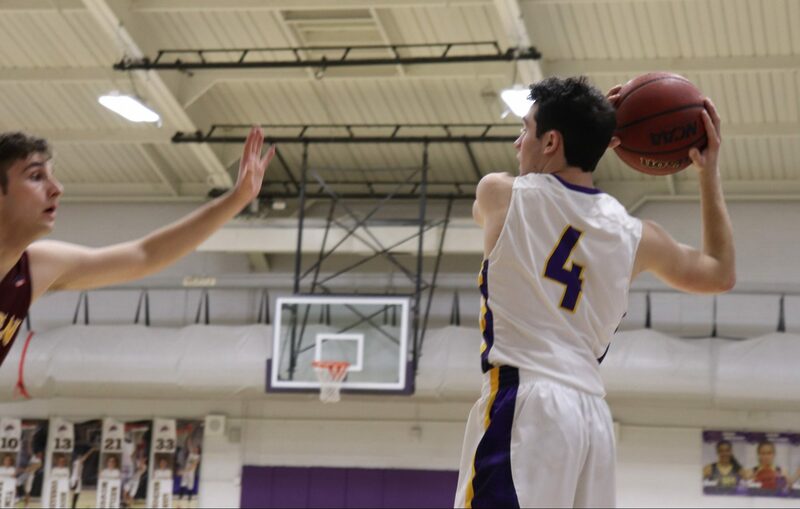 Boys’ basketball is determined to finish strong, hopefully with a couple of wins. 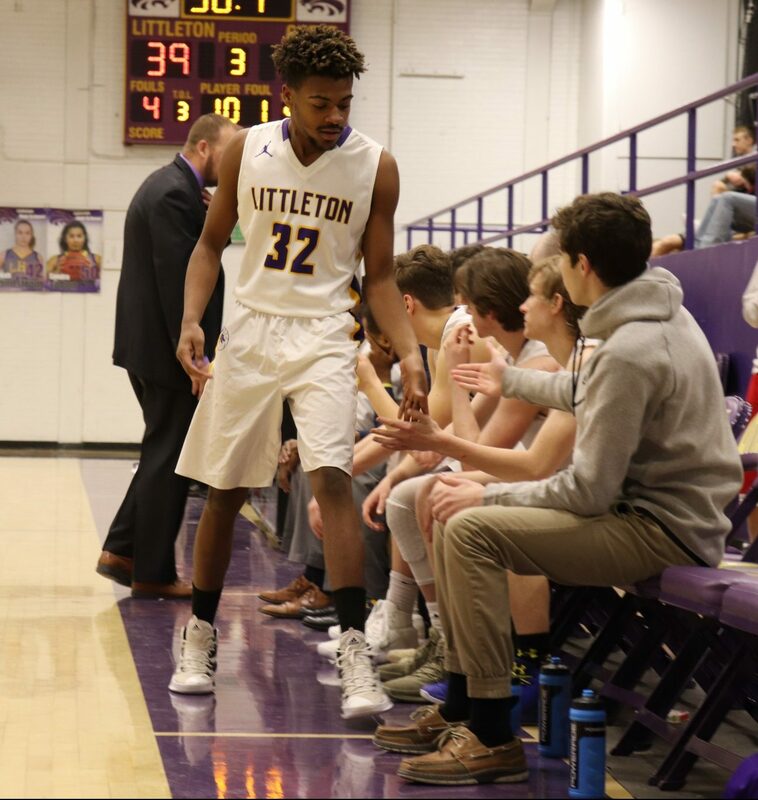 “Going into our last couple games, we’re just going to have to work hard and keep doing what we do,” said Cutter. “[We are going to go into the last games] hungry, [a] hungry mindset that we need to win,” said Levy. Levy celebrates Senior Day with his parents and brother. 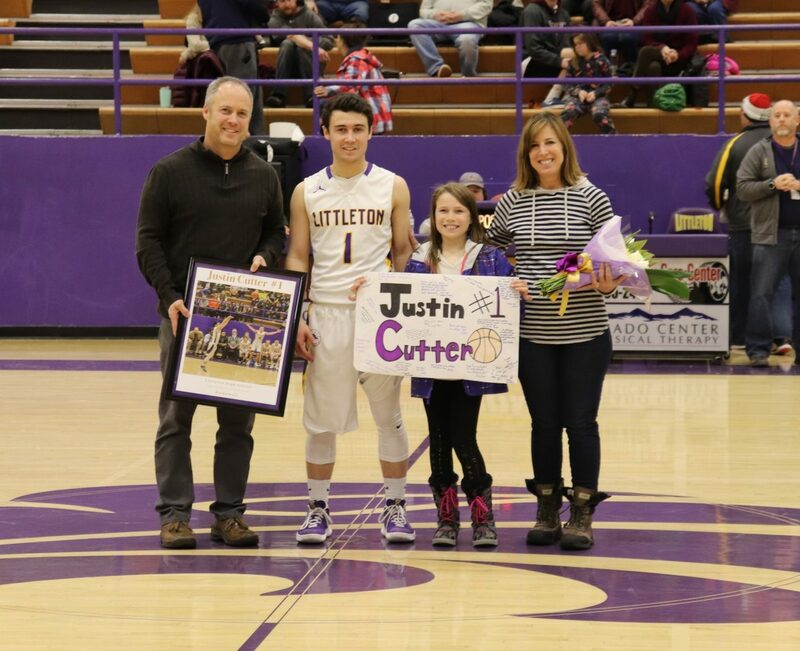 Cutter celebrates Senior Day with his parents and sister. 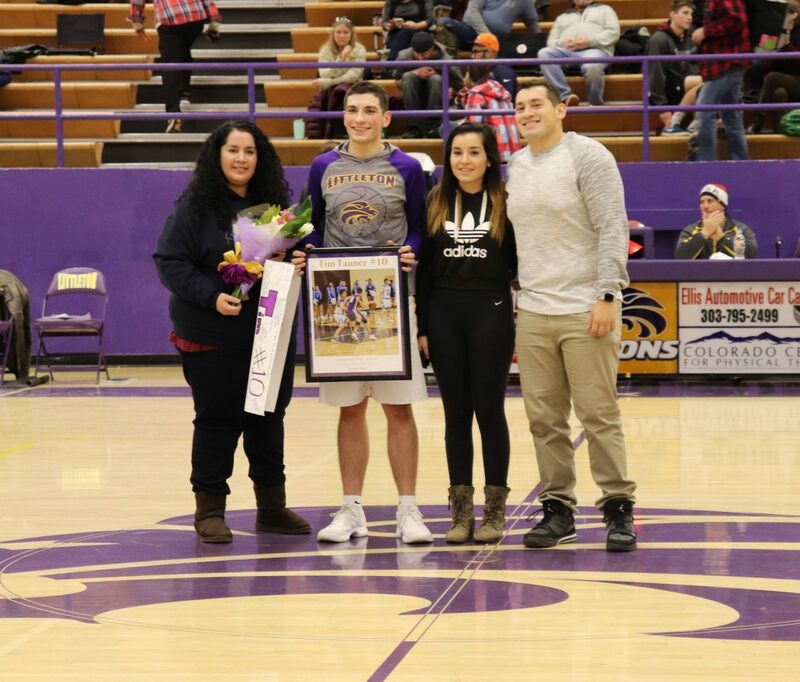 Tanner celebrates Senior Day with his mom and siblings. 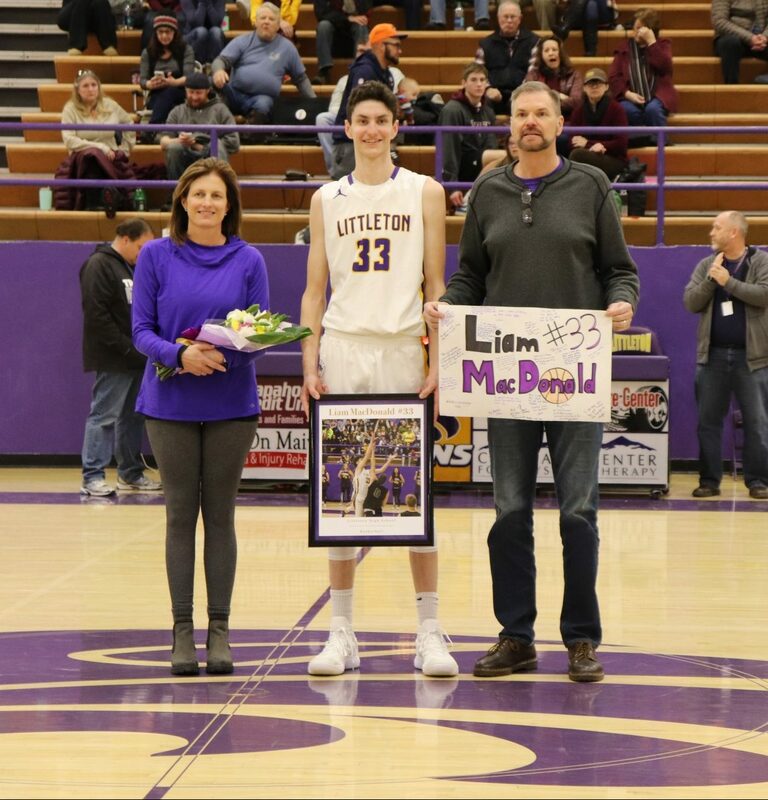 MacDonald celebrates Senior Day with his parents. 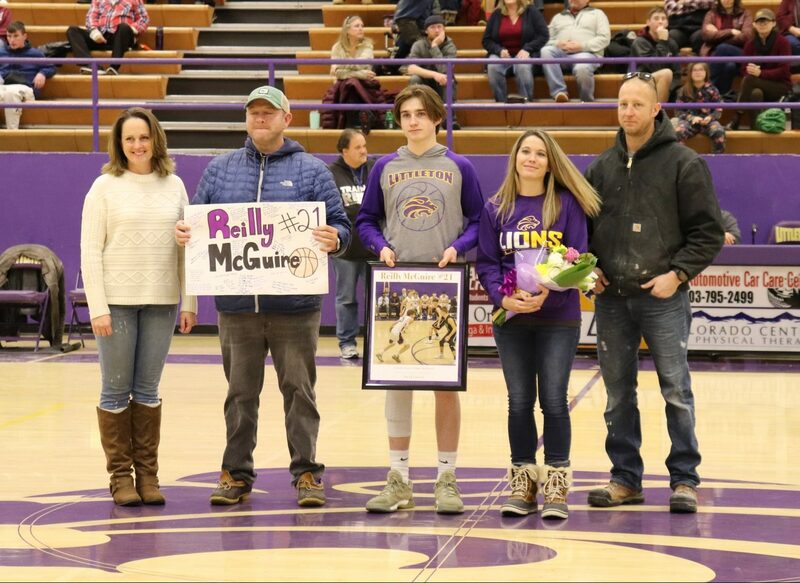 McGuire celebrates Senior Day with his family. 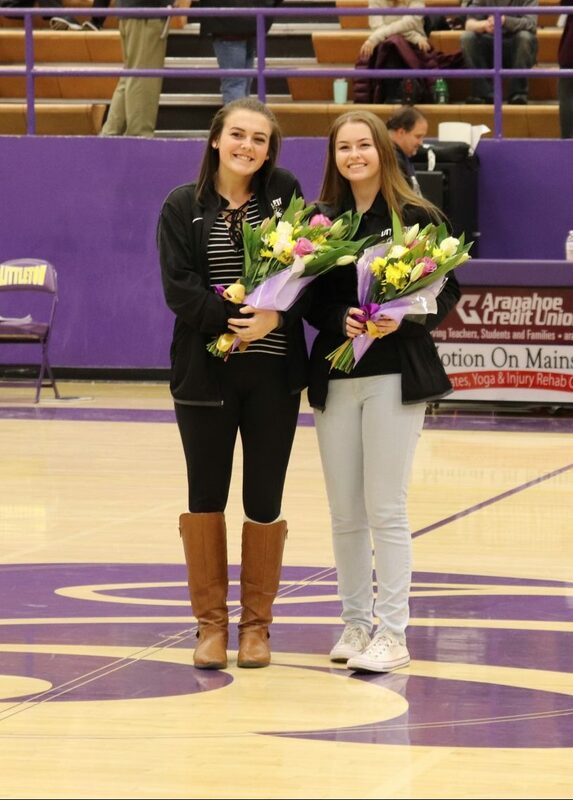 Managers Morgan Corbitt and Kailyn Scheeler are recognized for their hard work this season.